Home / From waste to fertilizers! 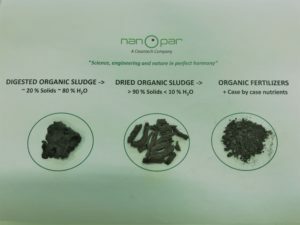 EU produces about 60 million ton/year organic municipal waste water sludge. The quantity is growing year by year. EU uses 14 million ton/year commercial fertilizers, made from non-renowable natural resources. The sludge, if dried and added nutrients where applicable would replace 12 million ton/year commercial fertilizers. We have the technology, much more economical than any other sludge disposal method, burning inclusive.The products do not smell and do not contain harmful components. We have Evira (Finnish Food Safety Agency) approval for the fertilizers.